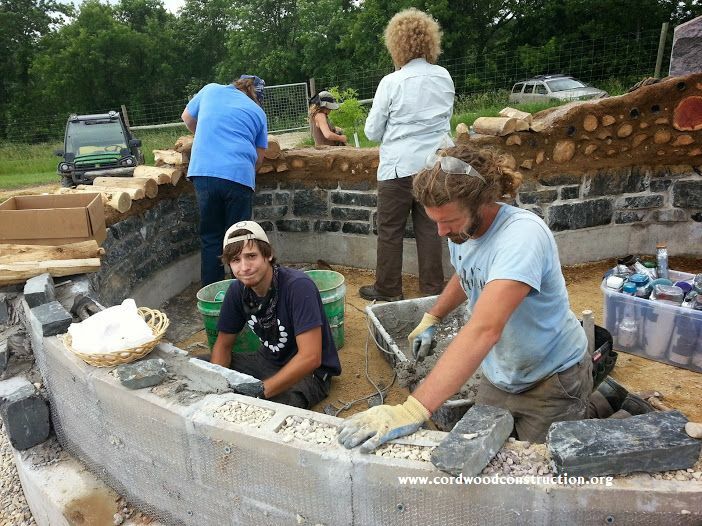 Cordwood with Cob Mortar is "Cobwood"
We had the distinct good fortune to participate in a Cordwood with Cob Mortar Workshop at Kinstone Permaculture Academy. 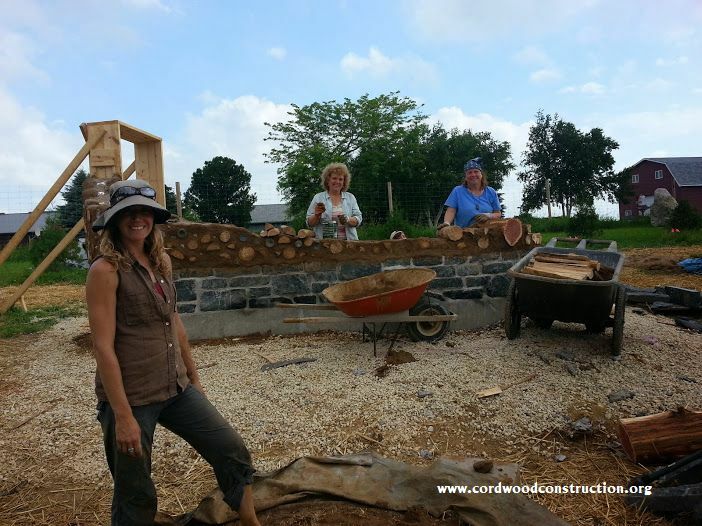 Building a Cobwood Entrance Center for the school was the order of the day. 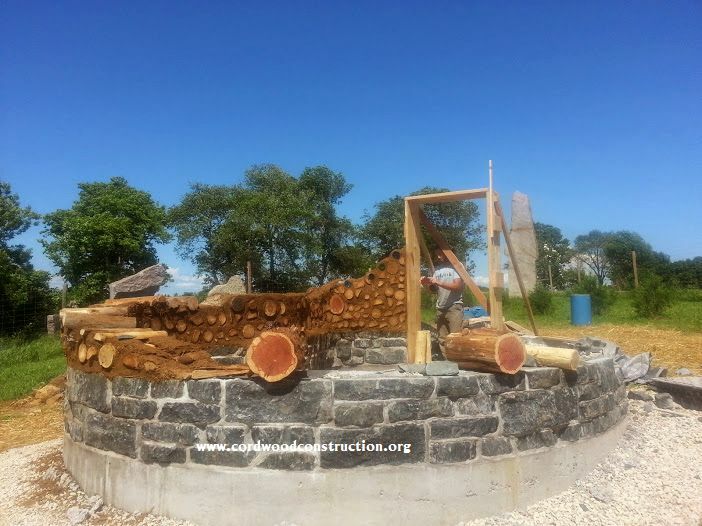 A kidney-shaped grade beam had been put in place and the cobwood rises off a “gneiss” stone stem wall. The soil is first tested for clay content and the workability and firmness of the clay is determined by rolling a piece of clay for stiffness. 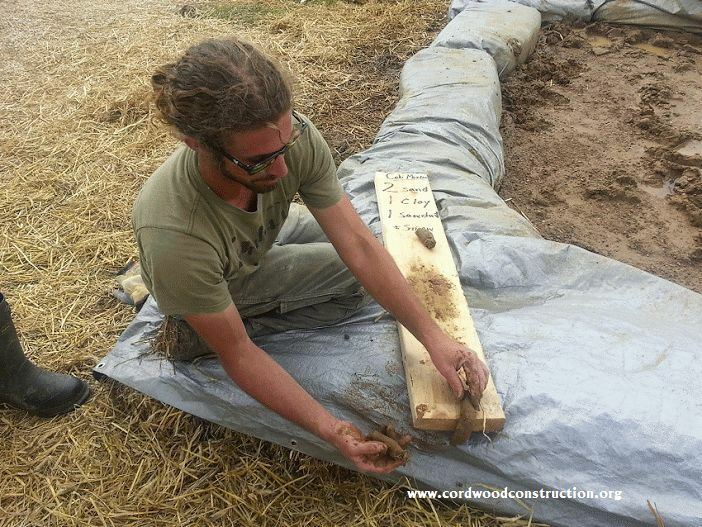 Note the sign which gives the cob mix proportions (2 sand, 1 clay, 1 sawdust, straw). 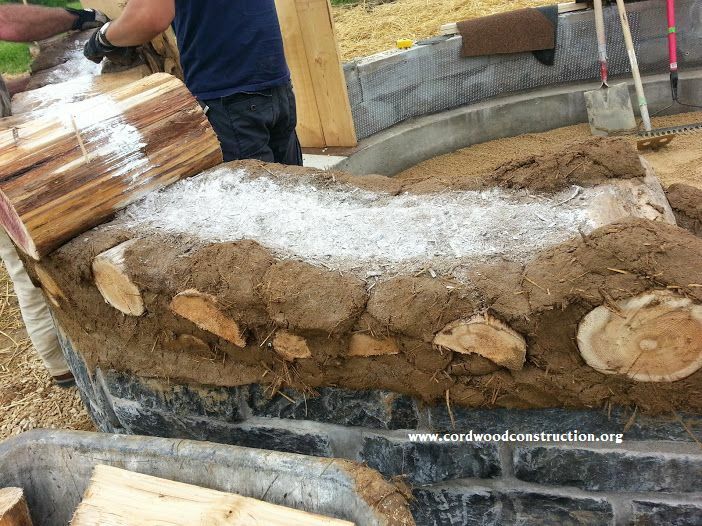 A loaf of the cob mixture is laid down like a regular cordwood mortar bead. However the cob mortar beads are thicker. 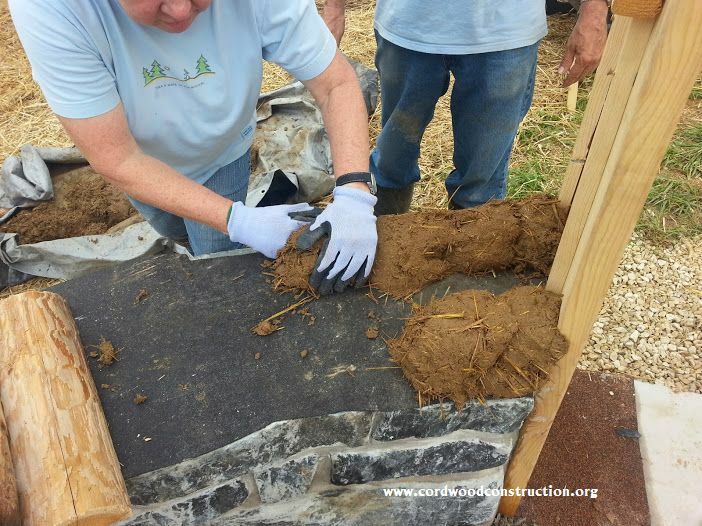 Here we are using 5 inches of cob on the inside and outside, with a 6″ insulation cavity. 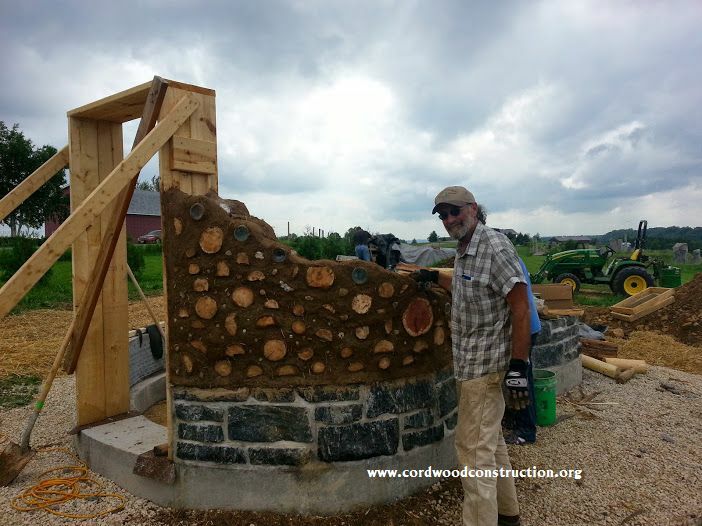 The walls rise similar to cordwood, except the cob will slump sooner, so the wall must be built one or two rows at a time. 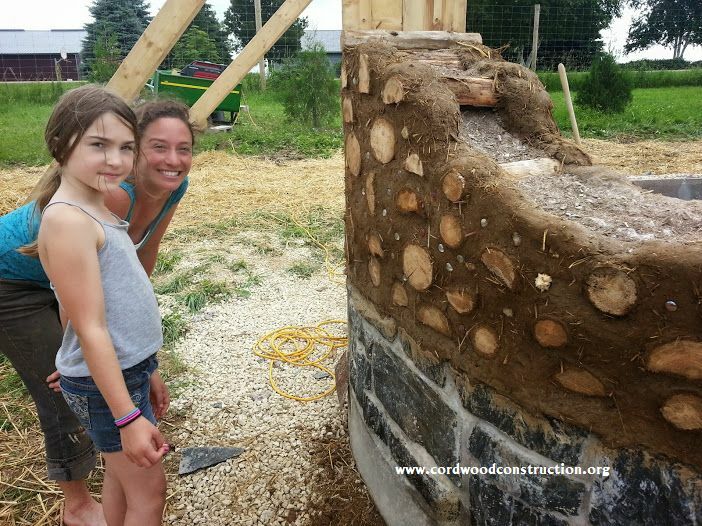 Smiles are an integral part of natural building. 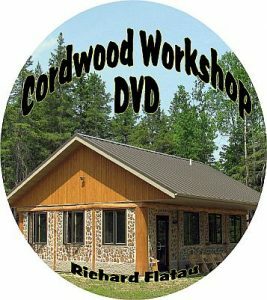 This cobwood entrance center is an experimental build for the northern Midwest, as there are only a few examples of cobwood homes in this large geographical area. Since cob is not a good insulator,we are combining it with an insulation cavity to see if it can be adaptable to our very cold winters (-30 degrees below zero). 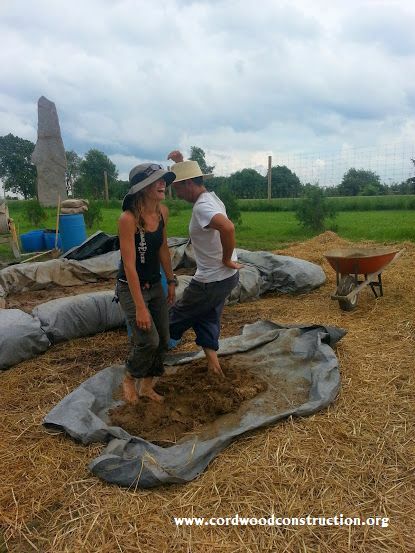 We will keep you apprised of our progress and how the building functions, winter and summer. The children make great cob mixers. 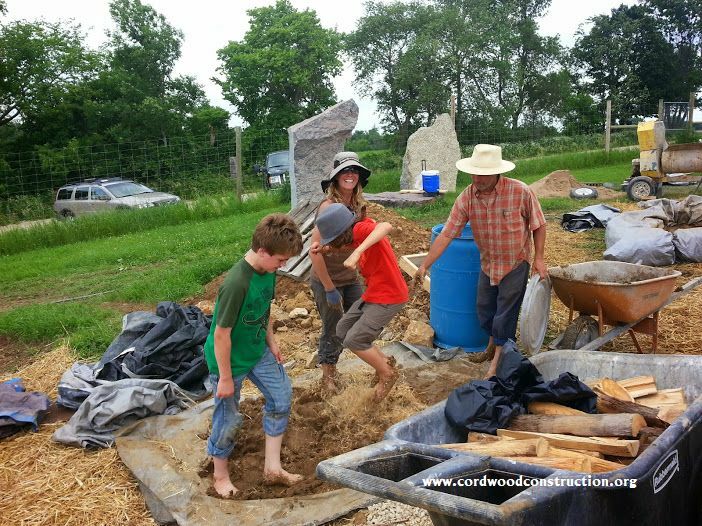 Our plan is to keep track of the cob kiosk and see what we can offer/add to the increasing interest in cobwood construction. The stem wall is being built with gneiss stone. Below, we laid down a lime bead to highlight the insulation cavity. 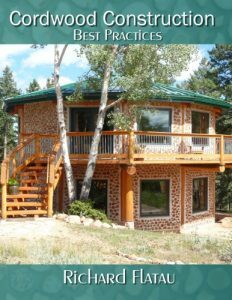 The sawdust insulation is mixed with lime to prevent insect infestation. 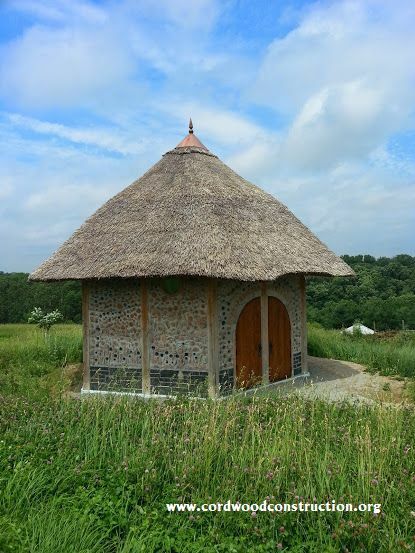 Having the Kinstone Cordwood Chapel in the background is a valuable source of inspiration. If you have questions or comments, please email them to me at richardflatau@gmail.com Follow this blog for further updates.